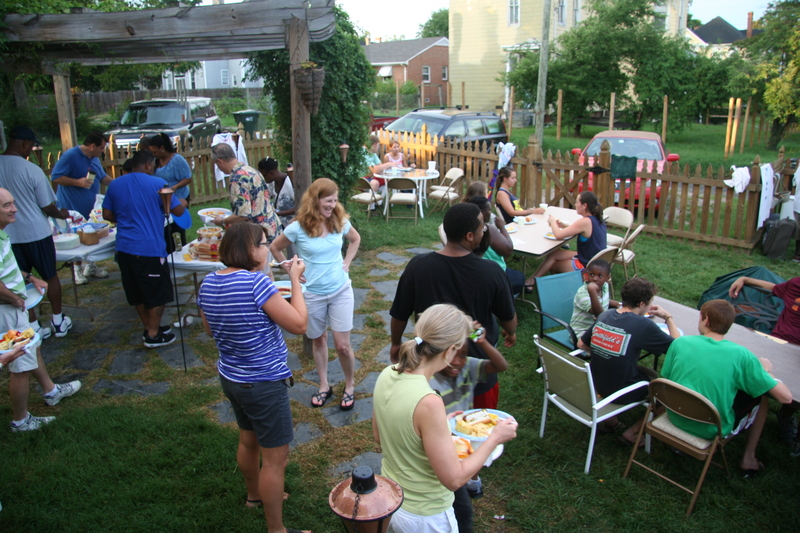 Posted: Friday, July 27, 2012 | Author: Marti (Michalec) Williams | Filed under: 2k12 | Tags: backyard, camp, Camp Splash, church, cookout, missional, unity | Comments Off on Clouds…Rain…SUNSHINE! Just a quick sneak peak at tonight’s activities! It was definitely interesting. Although I know we need the rain pretty badly, we prayed that the rain would hold off….. But, the rain came….and this is what it looks like when it rains…. Then… the clouds went away and the SUNSHINE came out! WOO HOO!!!! I know I should say something spiritual here, but I just don’t have the energy! But, what I do know is…God is really good…all. the. time! What a super night of great fun…and a night of learning about just how loud it can get in our house….and I can say I appreciate the sunshine today more than most! 🙂 Again…super thanks to new and old-time friends from Hope Church (BIG TIME!!! ), Movement Church, Cornerstone Christian Church, Parham Road Baptist, Bethesda House Ministries, New Hanover Pres, Tuckahoe Pres, Spencer Simmons (check out this talented musician at www.spencersimmonsmusic.com) and soooo many more who helped out this week and tonight in some way! I always hesitate to list groups or people because I know I will forget some one….forgive me if I did!!!) More pics to come! Thanks to community for coming out….and blessing us! I was in the middle of writing my first draft of my post-Easter Reflections, when I stopped to read Rachel Held Evans‘ post So how was your Easter…really?. It really got me to thinking differently about my Easter weekend. Every Sunday for my 48 (soon to be 49) years of life, I have been in the church on Easter morning. Louis, as a Pastor, is usually behind the pulpit on Easter morning. Now that I think about it, the first time I heard Louis preach was Easter 2008, and I married him December of the same year! Since Louis and I were both free (in more ways than one!) on Easter morning, we decided to take a different approach to the Easter Weekend. We found ourselves forgoing all the normal Easter Christian traditions. We opted for BEING the church instead of GOING to a church. We decided to ‘do’ the Bible. 42 They devoted themselves to the apostles’ teaching and to fellowship, to the breaking of bread and to prayer. 43 Everyone was filled with awe at the many wonders and signs performed by the apostles. 44 All the believers were together and had everything in common. 45 They sold property and possessions to give to anyone who had need. 46 Every day they continued to meet together in the temple courts. They broke bread in their homes and ate together with glad and sincere hearts,47 praising God and enjoying the favor of all the people. And the Lord added to their number daily those who were being saved. Thursday night is our usual Missional Community, where we eat together, study the Word of God together, and pray together. We did something radically different for our group. 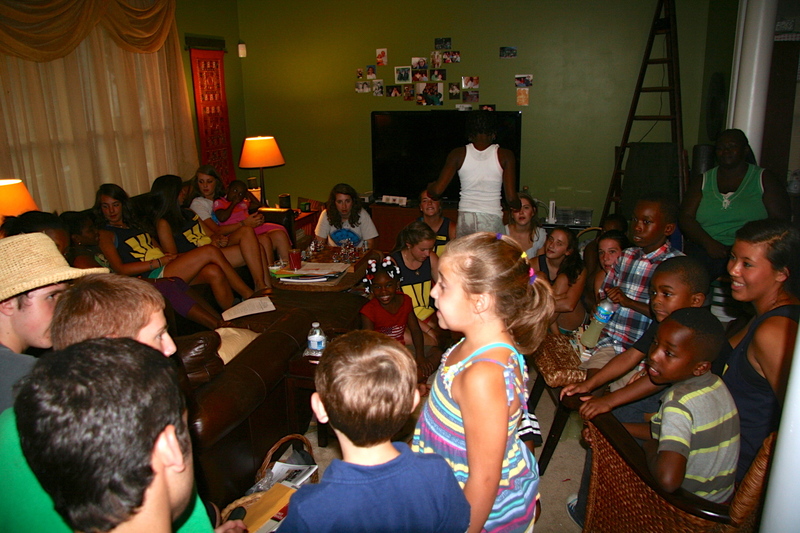 We had an old-fashioned foot washing and communion together. Where we commune and fellowship over a meal every week, this was different. Where we serve our community and each other every chance we can get, here…we washed one another’s feet…literally…while praying and thanking God for one another. The Spirit’s presence was thick and beautiful. On Friday afternoon, I got a prayer request email from a friend and a regular at our Thursday night Missional Community – who usually doesn’t usually request prayer for a number of reasons…lack of faith being one of them. But, I am thankful that she reached out this time on behalf of a friend. It was literally a matter of Life or death. I was weeping as I read the email and cried out to God. I am grateful that when I called on another friend to help with this prayer request…she answered her phone! 🙂 She gave me great advice to pass along, and she prayed with me right away. Early Saturday morning, I received a text message. It was now a matter of LIFE! The friend of my friend now chooses LIFE! Death was scheduled for next Friday, but the appointment at the clinic will been cancelled. Where Life’s heart currently beats in her womb, Life’s first breath will come in 8-9 months. We are filled with awe as wonder and signs performed by God’s answer to our prayers. Praise God…and thanks to all involved! This year, Easter didn’t consist of a Sunrise Service or a Sunday morning church service. We had no new springy clothes or accessories. 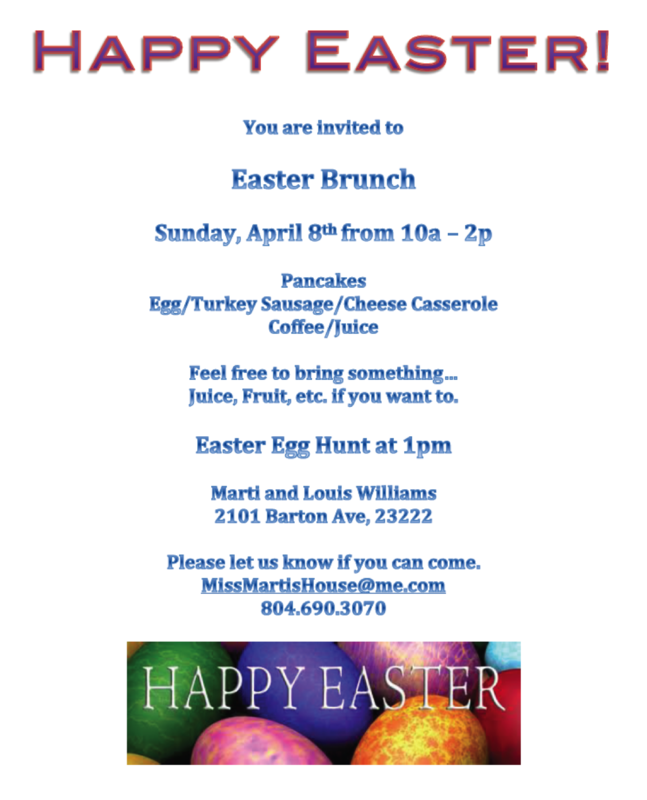 We did, however, open our home to our community – Southern Barton Heights – and our community of friends to an Easter Brunch. Louis, once again, served up his famous pancakes by the order as our friends (old and new alike) came and went. In addition, we had plenty of fruit, egg/turkey sausage/cheese casserole, country ham and juice/coffee. After hiding over 400 eggs, we cut the older kids loose in the back yard, while the younger smaller ones were in the front yard. We didn’t ‘preach a sermon’, but we devoted our time and our home to share the love of our Risen Savior in word and deed as we spent time in fellowship, sharing and praying with one another. We created deeper relationships with existing friends and developed new friendships with first time visitors to our home. We ended the day with dinner with my family. This is the only tradition that carried over from past years. I can’t imagine Easter without Mom’s lamb and full dinner table. Mom – Thanks for modeling hospitality for me! I look forward to what God is going to do among all of us in the future…and I look forward to those who will be added to the number of those who believe. A little grief-stricken, I went to bed Friday night believing that Life could be put to death in a week. It reminded me of how the disciples went to bed…laying there awake…after Jesus died on the cross…believing that He was dead. Or maybe they were pacing the floor….talking to one another…trying to figure it all out. Not understanding. Some had even dispersed…went into hiding…facing it alone. Having to wait 3 days to hear that Jesus is Risen. I can’t imagine what that must have been like. The wait must have been horrific. I am thankful that Life’s heart will continue to beat, Life’s lungs will continue to develop, Life’s cells will reproduce, and what a story…a testimony that Life will hear one day. Faith is restored. Life will continue to live. God has a plan for Life’s life. I can’t wait for Life to grow up in the ways of the Lord. I believe. Praise God! Now…enjoy a few pictures of our Easter Day… Peace. Theology on the Ground Reminder – TONIGHT! Posted: Wednesday, April 7, 2010 | Author: Marti (Michalec) Williams | Filed under: 2k10, One Church. One Richmond. | Tags: church, missional, missionary, Rev Ben Campbell, Rev Dr Anthony Hunt, Rev Dr Roger Gench, Richmond, Theology on the Ground, Union Theological Seminary, Urban, urban ministry | Comments Off on Theology on the Ground Reminder – TONIGHT! REMINDER….this is tonight! Hope to see you there! You will hear from urban ministers, whose work in Baltimore, DC, and Richmond are truly rooted in building community, empowering the marginalized, and helping people at their point of need. Richmond Hill’s Rev. Ben Campbell will describe how spirituality and prayer create ecumenical bonds which then forms concrete social action to help transform this great city. See the attached flyer for more details>Theology on the Ground and refer to their website Union Theological Seminary. In January of this year, I was nominated for and accepted a board member position with a non-profit ministry serving Richmond’s inner city called STEP (Strategies to Elevate People). 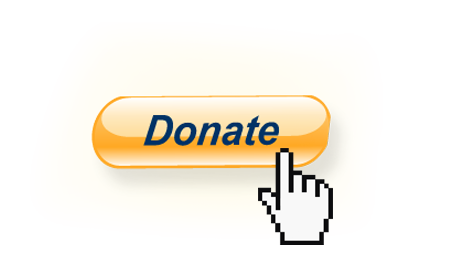 If you are interested in learning more about, serving with or giving to this deserving organization, check out their newsletter by click this link > STEP March Newsletter. Here’s a little more info about STEP…. 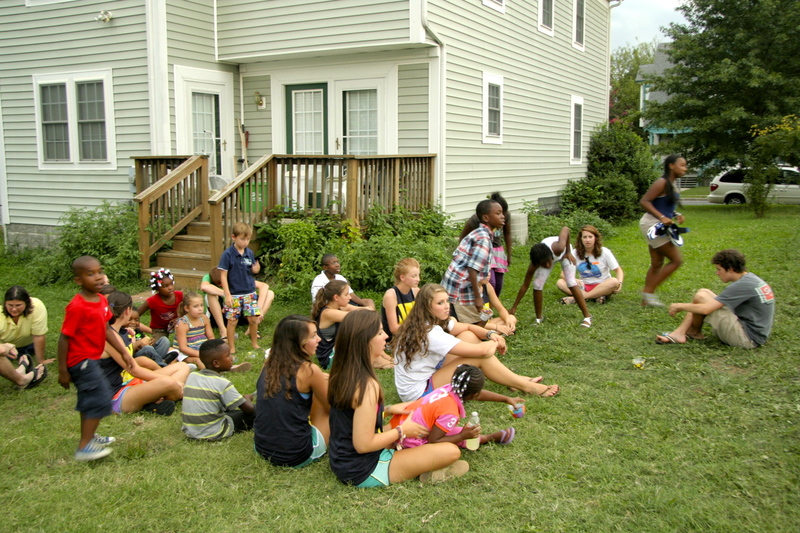 Develop strategies to meet the needs of the urban poor in Richmond. Defeat poverty in the lives of our urban neighbors. Louis and I truly enjoy entertaining! Thankfully, I have a wonderful husband who *LOVES* to cook, especially on the grill. Some of you know…you’ve tasted his delectable goodies. As many of you know, his homemade teriyaki sauce is good on just about EVERYTHING! He receives regular requests for his teriyaki steak or chicken, crab stuffed salmon, and pancakes! We have often thought of bottling it. But, can’t think of a good name. Any ideas? RevUp Teriyaki is a good possibility. But, it is NOT just about the food goodness. It’s more about the communing….the chillin’ and relaxin’ with old friends or making new ones. It’s about building community, laughing, playing, relaxing and enjoying one another. The Bible is FULL of stories that take place around the table. I particularly like the ones that where Jesus ate with the “sinners” and the “outsiders”. Then, this got me reading…a blog…John Mark Hicks Ministries, specifically his Missional Table post, although there were more posts on the topic. If this is what Jesus is modeling for us on a frequent basis, then who are we communing with and how often are we doing it? Based on the statistic that Fritz brought us, we must not be doing it often. I wonder why we don’t do it more. What keeps us from “breaking bread” with others on a more regular basis? Taking quality time with our families and friends? Here are a few pics of times we have welcomed friends and strangers, sinners and saints, young and old, black and white, rich and poor to our table, our porch, our back yard and our kitchen for a cooking lesson or 2! I hope to have many more full tables in the weeks, months and years to come! You are welcome at our table anytime…come on over! Now…isn’t THAT the truth?!?!? Today was a BIG BIG day for Louis’ church. Due to a number of different factors – change in demographics, decline in the economy, too little too late mentality, loss of membership, aging population, etc…..some big decisions have been under consideration for the last few months. Today was the day that the congregation unanimously voted to pursue selling the church building and it’s property. In addition, they also voted (unanimously) to move Louis to half time…20 hours a week….in the hopes of prolonging the ability to keep a pastor with them as long as possible, even if it is part-time. We are thankful that there was unity in these decisions, as tough as they may be. Louis and the session (elder board…for those non-Presbyterians) have done a WONDERFUL job of prepping the congregation for this day. This decision has been difficult for everyone involved. The church body has been around for nearly 100 years. Some current members are 4th generation members of 3rd Pres of Petersburg. Change is rarely easy. We are praying for peace….peace that can only come from Above. On a personal note, Louis and I are excited about what the future may hold for us. The Lord has been soooo generous and continues to provide for us. Although I have been displaced, I continue to work in a temporary assignment until sometime later in the year. I will receive a generous severance package that will hold us a little bit. Louis and I will be taking a monthly one-day retreat to pray and discern what God has next for us. Our first one is scheduled for Good Friday, 4/2. We are pretty sure we know our calling, but the details aren’t at all clear. It’s like an old-school Polaroid photograph developing (SLOWLY) before our eyes. We will keep you posted! Thanks for praying with and for us during this time of uncertainty. 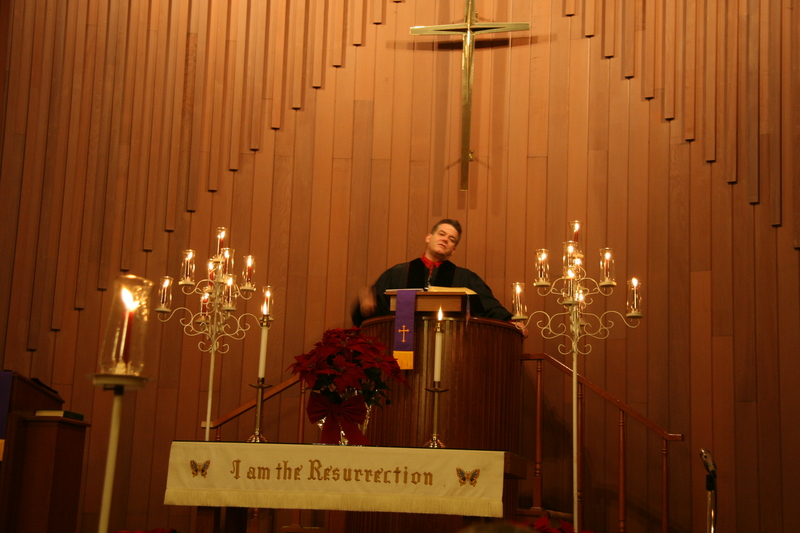 My handsome Hubby bringin' the Word on Christmas Eve 2009.